Djenane Santos is a Brazilian lawyer from Goiania. She has been on and off the Bay Area for the last 20 years. In 2015, she came to Pacifica with her family, John and Bianca, to do her Masters in Law. Djenane has always been a very active Christian since the age of 11 when she accepted Christ at Igreja de Cristo Norte de Goiânia (ICNG), which was founded by American missionaries. Her new life in Christ also brought her unique opportunities to achieve her dream of becoming fluent in English as she found herself interpreting at church. Before returning to California, Djenane and her family joined Pr. 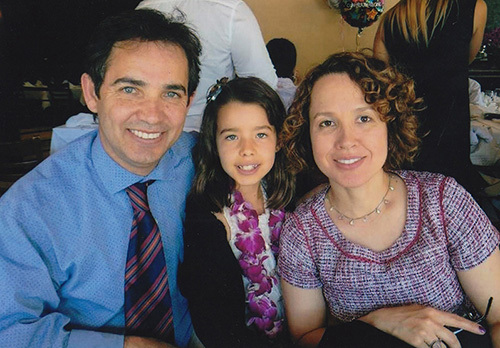 Rafael Batista and his family in opening a Presbyterian church in her neighborhood. The Children’s Ministry began with three kids, their very own. A couple of years later, she was coordinating a ministry that had enough kids to fill two classrooms. She taught middle schoolers and interpreted at a Brazilian Baptist Church in Brisbane, Igreja Brasileira da Bay Area, for one year before coming to New Life. Djenane has more experience in teaching Sunday School and ESL than practicing law itself. As she puts it, she continues to work with the law: The heavenly one. Her true calling has gotten the best of her. She loves working at New Life and looks forward to what lies ahead.